"This is of major importance for Indigenous peoples around the world," Dr. Ward-Fear said. "Traditional owners often don't have a voice in science. This is a case study for Indigenous groups globally to hold up and say 'we deserve a voice' and 'we deserve input into research'." James 'Birdy' Birch, a leading ranger from the Balanggarra Aboriginal Corporation in the Kimberley said: "The university-educated scientists have research tools, data and methods that work for them. But we have every-day lived experience. We have knowledge of the land and the animals passed down over thousands of years. If we put these skills together, it paints a clearer picture." "Working with Indigenous rangers, you get to see their unique skillsets. Once we showed that the trial worked, I was curious to see whether this contributed to the success of the study in a way we could quantify," Dr. Ward-Fear said. "Even though we worked in teams and had the same opportunity to spot the lizards, there were significant differences in the animals that the rangers spotted," Dr. Ward-Fear said. "The rangers have amazing observation skills and ability to see animals in a landscape. They could see the shape of a goanna when they were not moving, were in the shade or dappled light or from much further away. The Western scientists tended to see animals that were closer, out in the open or moving." 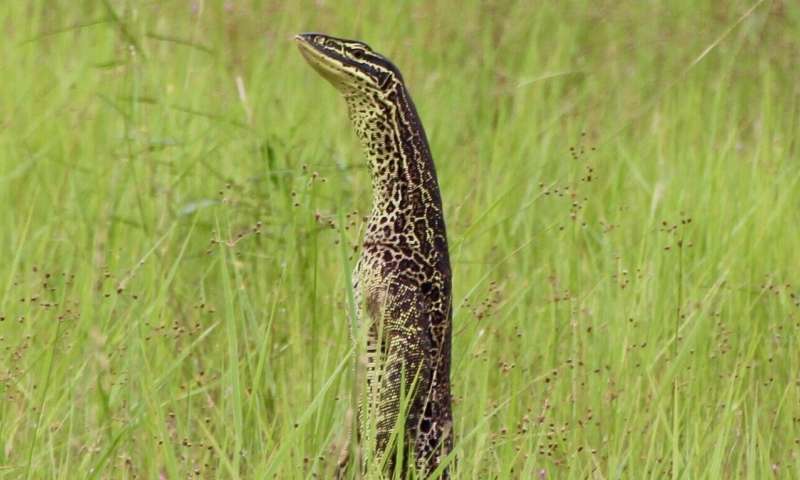 Published today in Conservation Letters, the study found the Indigenous rangers were able to find and collect a subset of large varanid lizards (goannas) that Western scientists were unable to spot. Importantly, these lizards displayed different behavioural profiles throughout the study: they were more 'shy' than the bolder lizards foraging in broad daylight; and they also learned the aversion technique better than the braver lizards. "These ranger-spotted animals responded better to the conservation technique and they actually drove the significant result of the study," Dr. Ward-Fear said. "If we hadn't worked with rangers and we hadn't collected that subsample of animals then our results wouldn't have been significant." James 'Birdy' Birch is the head ranger with the Balanggarra Rangers. He said the rangers had unique skills to offer the scientists. "We had access to country for a start," Mr Birch said. 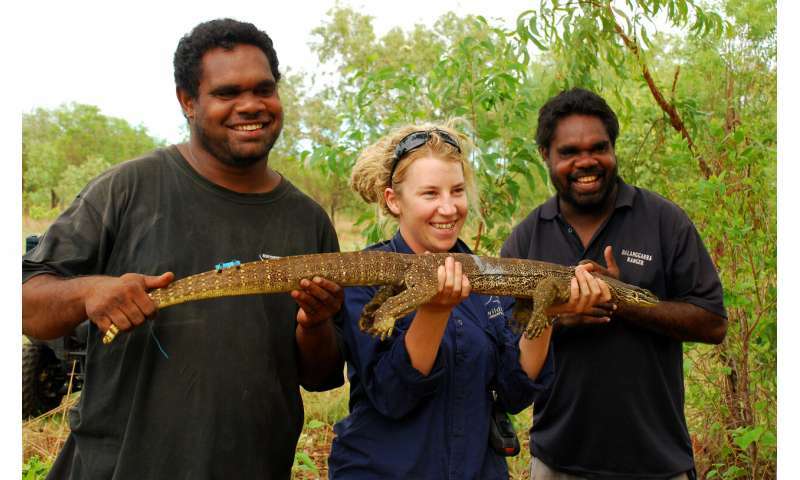 "We knew where the goannas were and we caught over 100 of them. We just had a keen eye. We could see them miles away. "My rangers all grew up on this country hunting for goanna with their parents. It is knowledge passed down for thousands of years." Mr Birch believes science can benefit from combining the two "ways of looking". "You've got the Western way of looking with all the tools and the data, and you've got the Indigenous way of looking at things. Together, Western science and Indigenous knowledge, they complement each other. We've got our skills and you guys have got your skills, we can put them together and find out so much, we were amazed by the results." Dr. Ward-Fear said the scientific community already knows it is ethical to work with the traditional owners of the land. "But now we know there is ethical and scientific value in working together in meaningful collaborations," she said.